We decided to go to Mosquito Ridge Rd. (out of Foresthill) to look for flowers. I had seen a large flower (1.5-2" across) some years ago where this road crosses the American River that looks to me like some variety of Monkey Flower, but I've never been able to get a positive identification on it. So we set out to try to find it again. 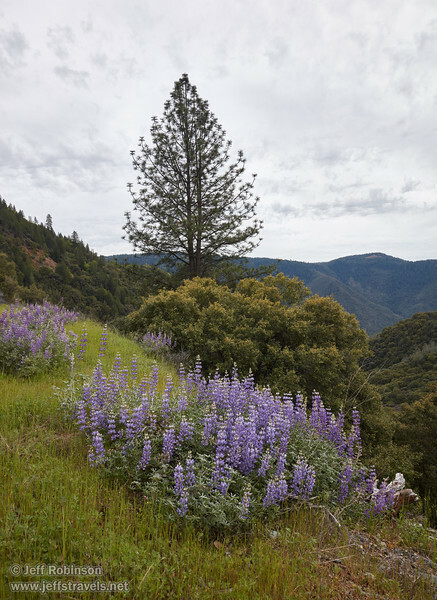 I did not find any by the river, but there were some farther up the road, along with some lupine and a few other flowers.